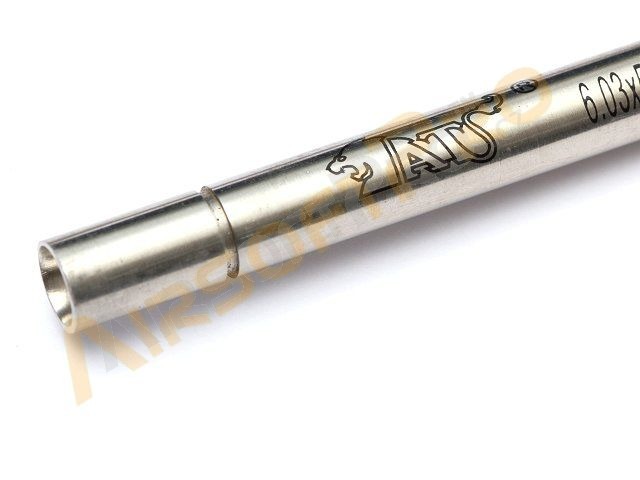 High accuracy AimTop 6.03mm inner barrel. Made of the high quality S303 stainless steel. Increase accuracy, effective range, FPS. Compatibility: All AEG with the Marui standard..